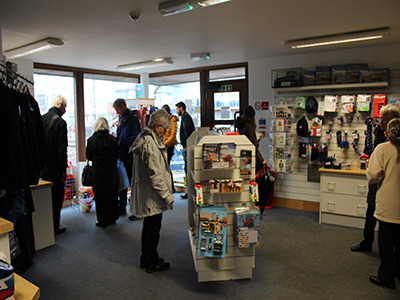 Our lifeboat shop is run by a dedicated team, everyone including the shop manager is a volunteer. There is two shifts each day, one in the morning and one in the afternoon. A wide variety of souveniers are stocked and all proceeds from the shop sales goes toward the cost of our life saving work. When you are in the area please call in, you will be made welcome. At the same time you can visit our visitor centre.